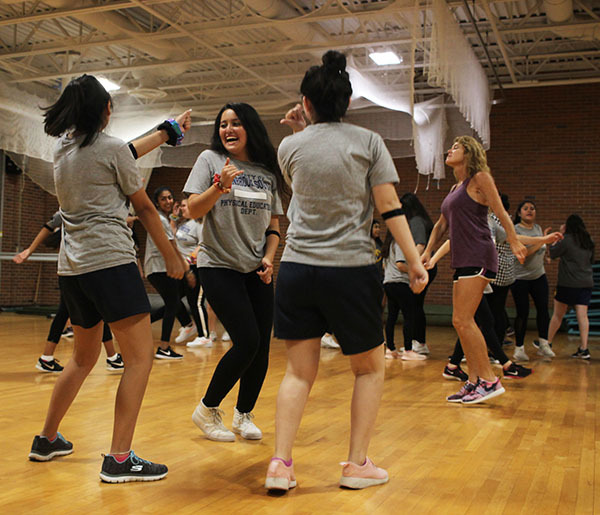 A For Effort: Dancing in PE class, junior Leila Khakpour (facing center) uses a heart rate monitor to track her activity level. At the end of last school year, heart rate monitors were introduced in some PE classes, and their use is continuing this year in freshman and sophomore classes. The Physical Education Department revised several past policies including the dress code and grading scale, as well as the mandated use of heart rate monitors, this school year, according to Steve Stanicek, instructional supervisor of PE/Drivers Ed/Health. The first revision involved the enforcement of the dress code policy, Stanicek says. The new policy requires all students to wear either solid blue or black leggings, or South-provided gym shorts in response to hygiene and functionality concerns. Sophomore Emma Langas believes the new dress code policy is for the most part reasonable, but disagrees with multiple aspects of the expectations it sets up for students. 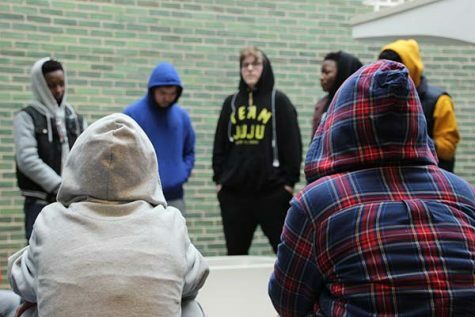 In addition to the revision of the dress code policy, the grading scale for daily PE participation was adjusted in an effort to recognize students who put in more than the expected effort, Stanicek says. Previously, students were given a baseline of 10 out of 10 points for participation each day, whereas this year students will start their grades at nine out of ten points daily, Stanicek says. “The nine [points out of ten] is really a minimal standard of what we’re doing in class and there were kids that were doing quite well in class …[so] we thought there should be some wiggle room for kids that are actually putting out better effort and doing more than is the minimum requirement for the class,” Stanicek said. Joshua Stanton, department assistant for physical education and PE Teacher, says that part of the reason for implementing this change was that students previously had no opportunity to be rewarded for extra work completed in PE classes like they do in their academic classes. 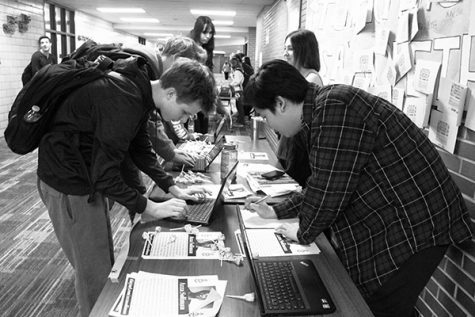 “We’re also allocating more of an opportunity for those students who continuously go above and beyond to be rewarded for that because I would argue that most other classes offered throughout the school provide that opportunity and that’s something we’ve lacked in this program before,” Stanton said. While sophomore Nicole Surcel agrees that this change highlights students who continously put forth an abundance of effort, she believes this change could create a negative impact on students’ GPAs. The PE Department is also continuing the implementation of heart rate monitors in freshman and sophomore classes which began in the spring of last school year, according to Stanicek. With each new school year, the department will introduce a new grade level to the monitors until all classes are implemented, Stanicek says. The use of these monitors will allow students to learn about their personal levels of fitness, Stanicek said. PE Teacher Thea Minogue says the heart rate monitors also prove to be a useful teaching tool as they are able to provide a more objective view on one’s effort as every student has their own athletic abilities. “[The heart rate monitors] take away the subjectivity of teacher observation,” Minogue said. PE Teacher Brittany Ethington, who has experience with heart rate monitors from working at Niles West High School, says the heart rate monitors can potentially help students identify heart abnormalities that they may have. Langas says she was able to use the heart rate monitors in class last school year and believes they are a useful motivator, but realizes that with other stresses it can hinder effort put into PE. 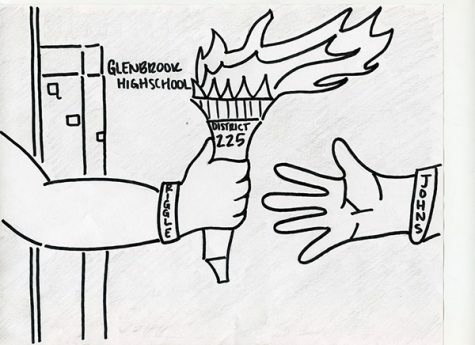 The new policy adjustments were made in an effort to improve the overall education and experience in the PE Department for current and future South students, explains Stanicek. “All of these things that we’re doing and incorporating and implementing into our classrooms each and every day down here in Physical Education are all things that are trying to enhance and promote the student experience,” Stanton said.